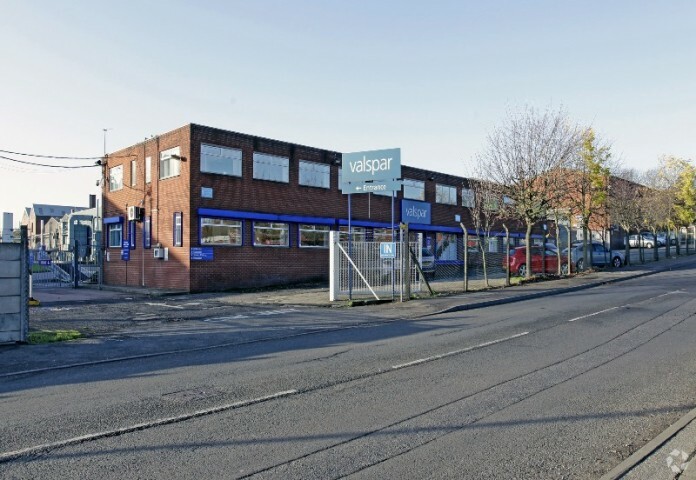 The former Valspar site in Aston Church Road was split into three parts, and the agency is now looking to sell the final portion after securing sales of the main part of the site and a secondary section to UK manufacturers. The lion’s share of 95 Aston Church Road, comprising of industrial buildings and warehousing covering more than 75,000 sq ft, has been bought by Presscraft (Components) Ltd which will manage its UK operations from the premises. Thomas Morley, of Harris Lamb’s commercial agency team, oversaw the sale and said: “There is a massive shortage of industrial stock across Birmingham and the West Midlands as a whole, so when the Aston Church Road site was put on the market there was little doubt that it would be snapped up quickly. “This is an established industrial area, and this prime site is made up of a number of warehouses and industrial units, while also offering easy access to both junctions five and six of the M6. “A second portion of the site, which is under refurbishment, encompassing 12,000 sq ft, has also been taken on by a metal processor, also attracted to the site by its location, condition, size and access links,” he said. The £3m sale leaves the final portion of the site, which covers almost 7,000sq ft and comprises of a detached industrial warehouse unit with an eaves height extending to approximately 4.88m, available to buy, with offers expected of around £325,000. Previous articleCBRE: "Stamp duty changes will come as some relief but is effectively a tax grab"